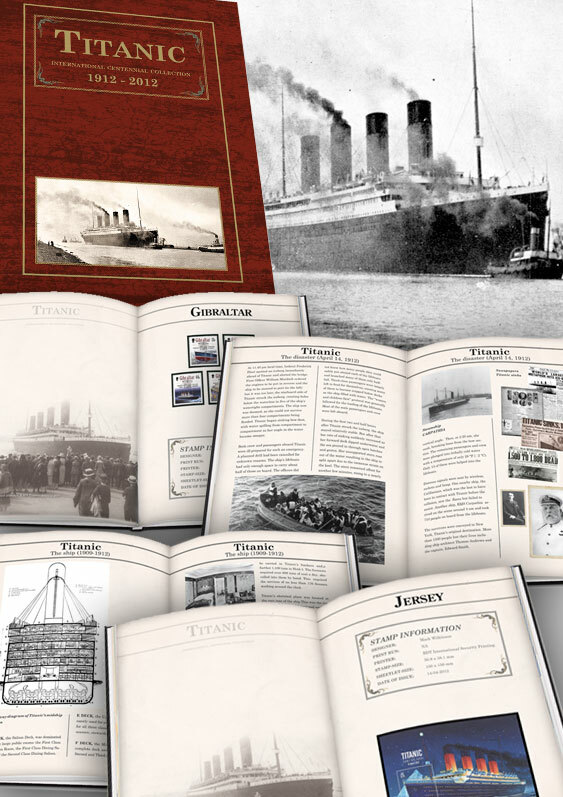 This is a beautifully illustrated book and album containing pages with mounts for stamps of the Titanic Centenary issued in 2012 by countries all over the world. The book contains over 100 pages and can be ordered with or without mounts. Please note there are NO STAMPS INCLUDED in the book. More than 35 countries and more than 60 different stamps and stampsheets were produced for the Titanic centenary including issues from Åland, Alderney, Belgium, Bulgaria, Canada, Falklands, Gibraltar, Isle of Man, Ireland, Hungary, Jersey and more.